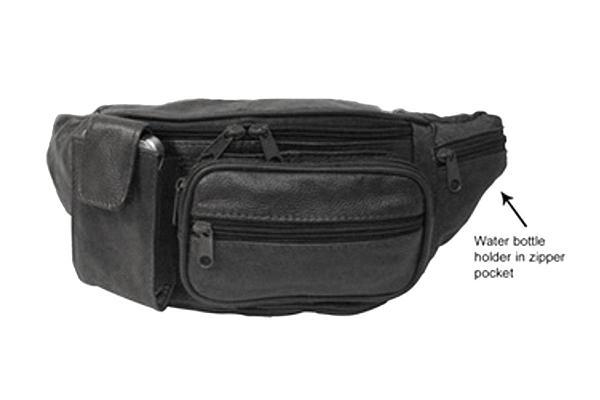 Total of 4 compartments with an additional Velcro flap pocket at front for cell phone & a mesh holder for water bottle. Great for travel. Size: 15" x 5.5" x 3"